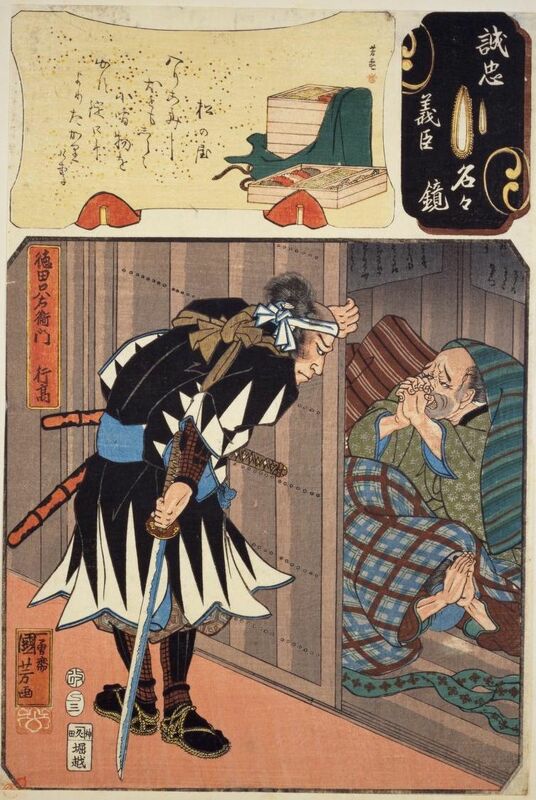 After beheading Lord Kira, the Shogun’s former master of ceremony, in the midnight hours of December 14th, 1702, 47 ronin (masterless samurai) set out through the snowy backstreets of Edo, making their way to SengakuTemple, some 11 kilometers away. Once Kira’s head was laid on the grave of their master, Lord Asano, their goal would be complete – revenge for Asano’s death. Join us as we follow the trail of the 47 Ronin, heroes of one Japan’s most well-known stories and subject of countless Kabuki dramas, TV shows, movies. Like all good dramas, there is a dastardly villain, a doomed hero, stalwart retainers, and perhaps behind it all, somebody manipulating the players from the shadows. 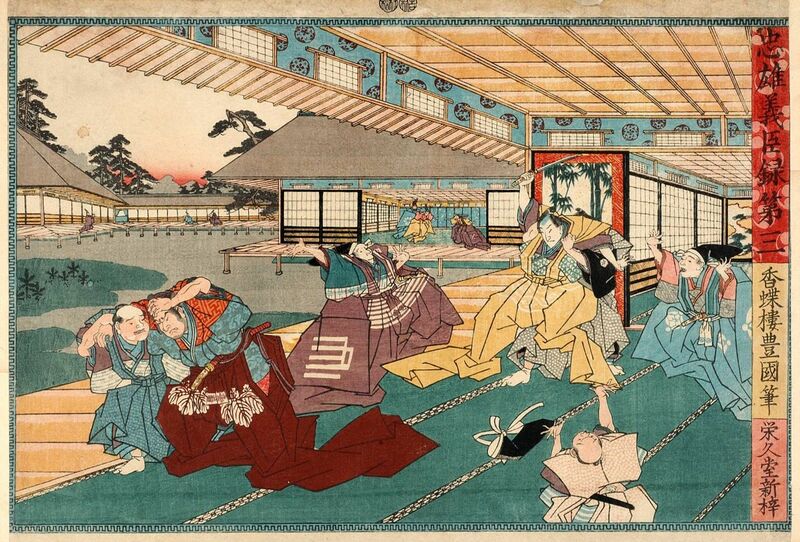 This Half-Day Walk takes you from EdoCastle, where a moment of explosive rage sets the stage, to Lord Kira’s estate, where news of the ronin’s attack sends ripples throughout the city and causes dominoes to start falling. From there, you walk in the ronin’s footsteps along the banks of the Sumida river, past former daimyo estates and current temples, and finally to SengakuTemple, where the ronin completed their task and calmly awaited word of their fate. 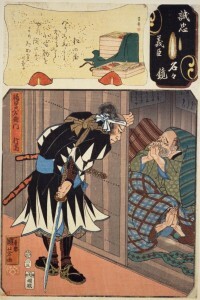 Trail of the 47 Ronin dissects the hugely popular, but largely fictional account of the event, and also explores and explains the historical details of both Asano’s attack on Kira, which started the incident, and the ronin’s march through Edo. Along the way, you’ll learn more about Tokyo’s past, see how Edo lives on even today, and see how a string of events and non-actions suggest a power moving in the shadows and pushing events to a pre-ordained conclusion. Trail of the 47 Ronin will be available from late November 2013, with a special Walk scheduled on December 14th – the anniversary of the ronin’s attack on the Kira estate and march to Sengaku Temple!